Zenia Tata is the Vice President, Global Impact Strategy at XPRIZE. Over the last four years, she has led the organization’s global expansion efforts as well as designed XPRIZE’s future foresight work through the design and creation of Future Impact Maps, XPRIZE’s newest offering. She is a serial social entrepreneur who has spent the last 23 years working across 25 countries in Asia, Africa and Latin America leading cutting-edge international organizations and working with diverse issues like water and food scarcity, economic enhancement, climate change, land rights, healthcare, education and child welfare. Working at the nexus of technology, entrepreneurship and social impact, her primary focus has been to leverage technological innovations at-scale for greater good. 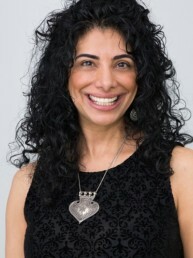 Prior to XPRIZE, Zenia’s consulting clients included academic institutions like MIT’s D-Lab, private sector social enterprises like Medeem, technology incubators such as D-Rev, impact investment groups like Beyond Capital, funders like Nike, Soros’ Open Society Foundation and the Bill and Melinda Gates Foundations and large international NGOs such as Concern Worldwide. Before that, she was the Executive Director of International Development Enterprises (iDE) USA. iDE pioneered market-based approaches to increase income for impoverished farm families in Asia and Africa and doubled the incomes of 20 million people living in abject poverty. Zenia is an accomplished speaker who has spoken at numerous global conferences and has taught classes on social entrepreneurship at Harvard Business School, Stanford, MIT, University of Colorado and New York University. Originally from Mumbai, India, Zenia now lives in Crested Butte, Colorado and is an avid scuba diver, hiker and pilot who is passionate about finding the next unexplored solution to humanity’s grandest challenges.